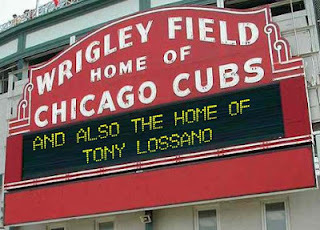 Tony Lossano, etc. 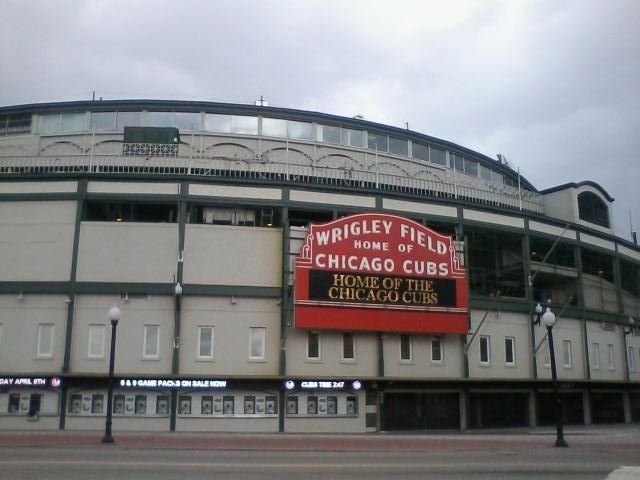 : Take Me Out Of Wrigleyville! 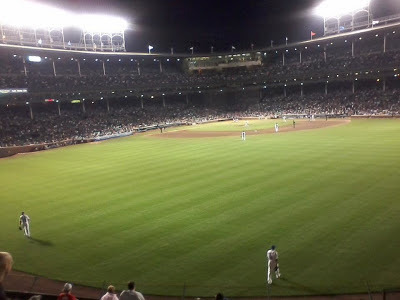 Take Me Out Of Wrigleyville! A bunch of stories have come out in the past month over the Chicago Cubs. Ironically, only ONE of these things have anything to do with the Chicago Cubs' increasing their chances on winning! Which one? 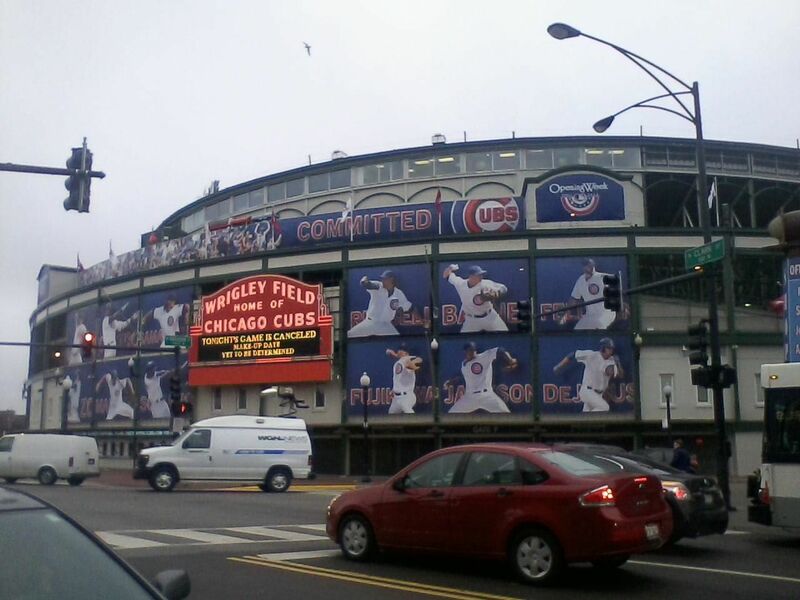 Moving out of Wrigley Field! Don't get me wrong, I love that park. I grew up there, literally, (more on that later). 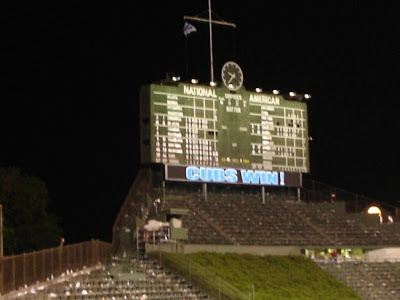 ...but Wrigley is a museum, a bar, a wonderful place to visit to bring back old memories. 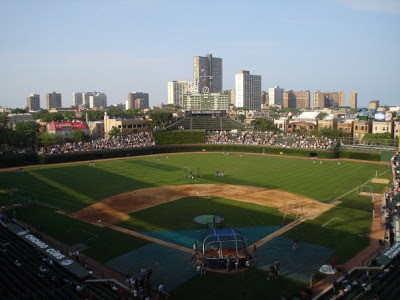 Ask any Cubs player, (which no one seems to be doing here), Wrigley is not a ballpark that any team can win a championship in. I've been told by members of the team that; the lighting is poor for night games and the heating in the bullpen is non-existent on cold days, which both can/should be fixed, (which no one seems to be addressing that either), but the most important issue, which they agree with me about; the Cubs can not have a winning team while Wrigley is their home! Where other parks are designed so that the club can build a team that has an advantage at home, the Cubs can't at Wrigley. People blame losing on a goat, or Steve Bartman, or an Indian burial grounds. The owners are "improving" the venue so that they can increase revenue. None of this allows the team to become competitive which would eliminate the excuses and would also increase the bottom line. In some ways, the renovations are long overdue and will be cool for the fans, but how does any of the proposals actually help the team? 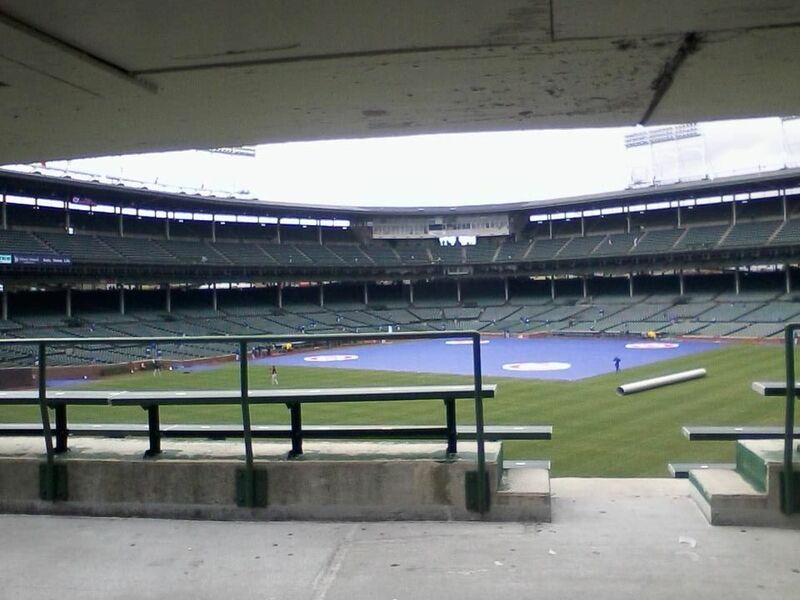 Wrigley could become a concert venue or an arena for monster truck shows, or whatever. Overall, it won't be easy to see the Cubs leave Wrigley, but like a parent, I think that it is best that they finally go. 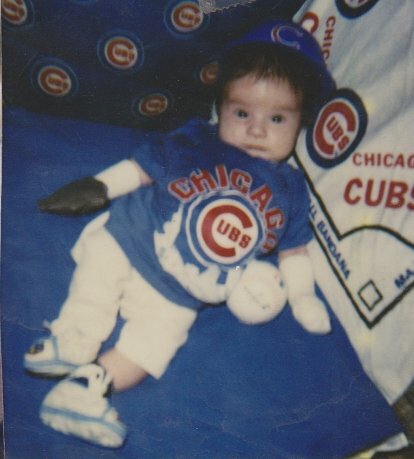 Go Cubs go! She was a cashier for Arthur Food Services, Inc. and then Szabo Food Service Co. up right until the 1983, before the start of that 1984 Chicago Cubs season. 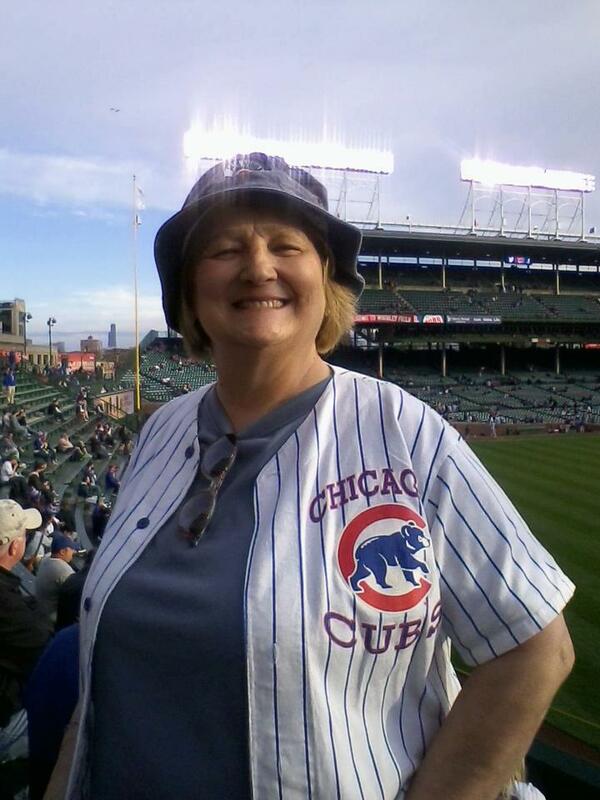 *sigh* Her job was to sell the food & beverages to the vendors that you see going up and down the aisles at Wrigley. For most of the summer, my sister and I attended the Chicago Park District’s Day Camp Activities, however, there was a chunk of the summer that we had no where to go, so she took us to her work. My Mom, recently enjoying a game. 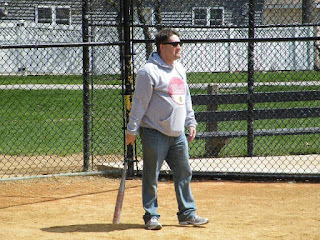 We got there before the gates opened, got to see batting practiced. We hangout in our seats for the game, near where my mom worked, right next to the security, surrounded by Andy Fran’s & continuously being checked on by all of the vendors. Not only were we safe, we couldn’t get into any trouble even if we tried. After the game was over, we were given official baseballs and waited outside the Cubs’ locker room to get their signature. We easily got the entire team to sign the ball, but how many times can you ask a professional ballplayer for his autograph per week. The answer is four times. So my sister and I moved over to the visitor side to gather new signatures from the opposing teams. Again, it was cool to meet these guys, as they all seemed to respond well to kids, even if they knew that we we’re not their biggest fans. But even that got old after awhile. 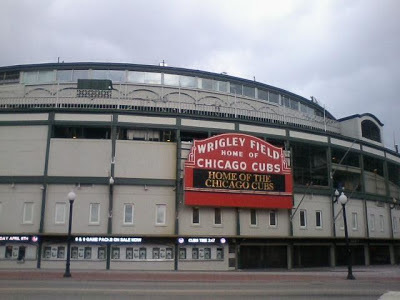 This was right before the Tribune Company purchased the Cubs and back then, things were much more relaxed and were the whole Cubs organization was run like one big family. So we had no problem getting around, cuz all of the workers knew us. 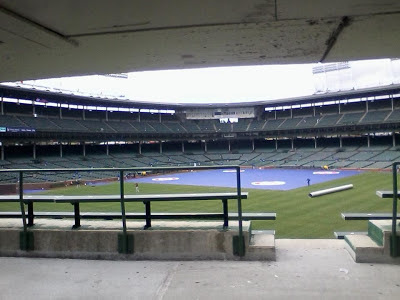 My sister and I started to roam the park after the game where we ended up on the ramps behind the broadcast booths, where we met and walked down with Harry Carey for the rest of that summer. I was too young to really appreciate how cool this was, I mean, I knew that this was the guy on TV, but I was not impressed with that fact. What made me really like Harry was the way he told us stories about his grandchildren. Sadly, I don’t remember any of them, but I do remember thinking how much fun he had with them and how cool that was. Not really having grandparents in my life myself, I kinda enjoyed hearing his view of being a grandparent. This continued until the end of the season. Each walk lasted only about 5 minutes and always ended with him giving us a smile and a wave before he went behind some door on the concourse. My sister and her two kids. Guess which one is attending their 1st Cubs game here. A couple of decades later, my sister would get a job at Wrigley as a cashier in the bleacher concessions. 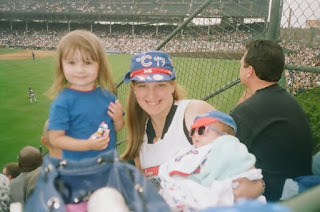 She eventually named her second child after her favorite Cub, Mark Grace. Cuz she had a girl, they went with the name Grace. Don’t think that her first child was left out…Emily was dressed in a Cubs uniform (practically) the day she was brought home from the hospital and years later. However, Emmy was named after my favorite television award…At least that is the story that I’m going with. 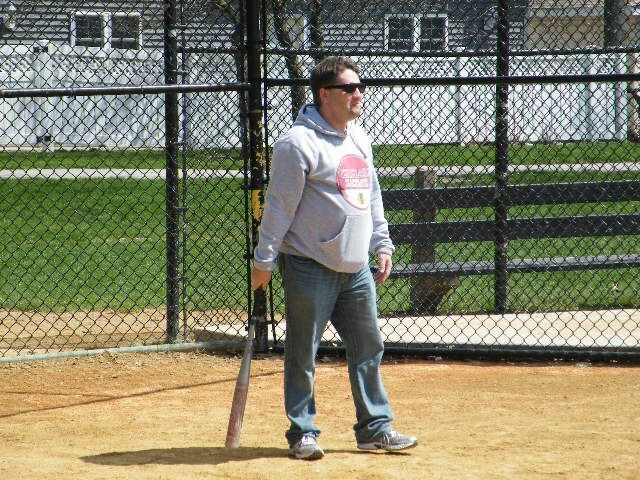 This is not Wrigley Field, but this is the best pic I can find. I simply support all of the Chicago teams.